NSTA’s National Conference on Science Education features 150 STEM focused sessions that will provide administrators and teachers exciting new ways to introduce and engage their students in STEM. If you’ll be at NSTA, please visit us at Booth #1334. If you would like to attend one of our presentations, register below today! If you’re not going to Nashville, there are many ways you can keep up with the latest developments on how you can teach STEM in your classroom, in whatever town or state you may teach. The NYC Elementary Schools Principal Conference is designed to recognize, celebrate, and share promising practices across New York City Department of Education schools. A lot of teachers ask me what is a good way to get started once I have my A+ STEM Lab. It’s a great way to introduce the students to their first probe – the temperature sensor. It will also teach them how to use the data logger and graphing software. Plus, the students will have fun trying to raise the temperature by rubbing their hands together. They´ll make it into a fun game while learning all the different components. 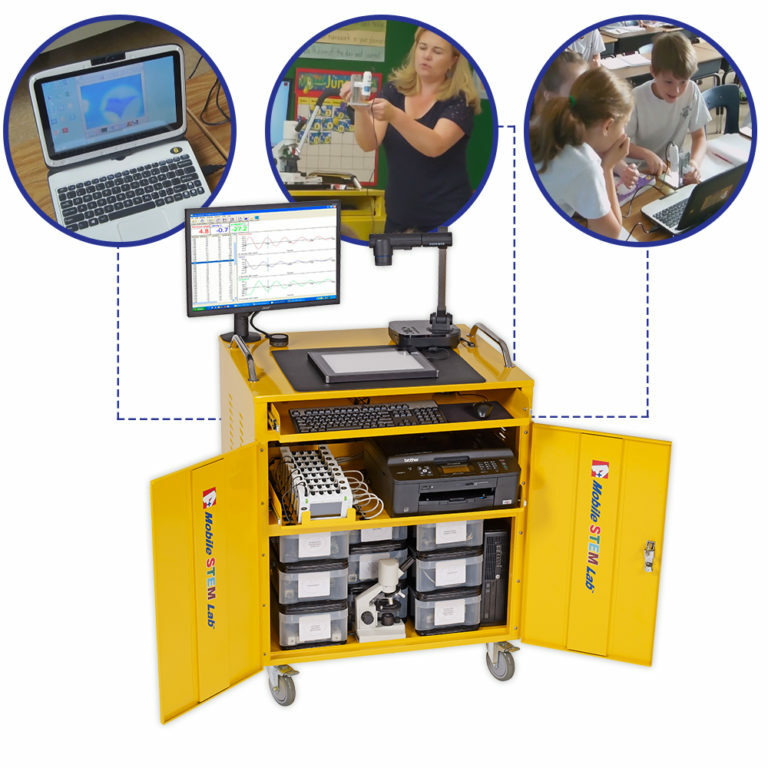 For more information to get started with your A+ STEM Lab, please contact David Dickman, Instructional Technology Specialist. Join a fun hands-on science lesson at St. Patrick’s School in Huntington, NY. Students learn a variety of ways to use microscopes with the help of STEM Lab equipment from A+ STEM Labs!